CSX acts like a grainger railroad! 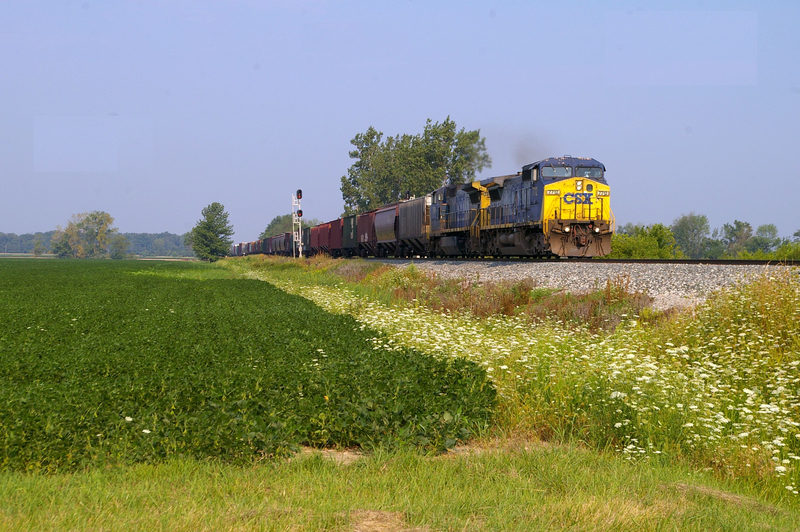 West of Indianapolis CSX units roll with a grain train. This is still the midwest after all. I made a visit to Ireland, again, in 2016. I really enjoyed my trip. I saw the new 29000 DMU sets in passenger service. I had a chance to ride with the Naas Cycling club. It was fun and enjoyable. I will post pictures from Ireland on the website. Eventually, I will transition the website to a new platform. The bike club has been around since 2009. We started as a federation of like minded individuals. We wanted to ride in a safe and social manner. We would meet for coffee after the Hanson ride. We have one weekly ride. We even ride during the winter. There is the Hanson route that traverses the cranberry country. I started group touring rides such as adventures to Martha's Vineyard. We would ride, together, and share memories of exciting times. Next, someone suggested that we make some jerseys. Now, we have official jerseys. The club website is at www.southshorebikers.com. There are a lot of Facebook posts of railroad photos, now. I enjoy finding that many others share the interests of my friends and I. Once, I sold photos to Law & Order: Special Victims Unit. They used the photography to serve as artwork in a criminal's apartment. I think that any mention is positive news.